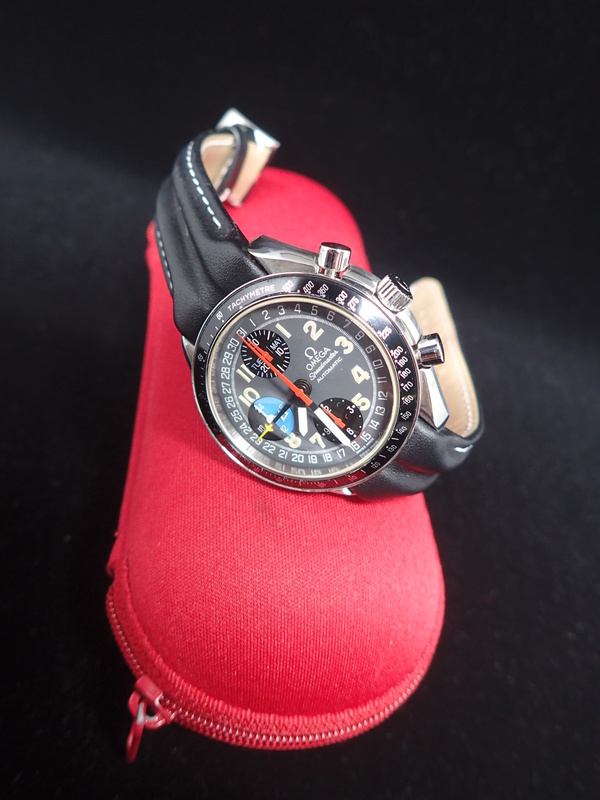 For sale is a 39mm Omega Speedmaster Chronograph Day Date Schumacher Ref 3520.5300 original black omega dial. The Omega is having a top condition. Fully serviced. If interested, please contact me to see photos with marking, as watch is having just a few flaws. Nevertheless, it runs well without any issue. Comes with full boxes/papers, bracelet and all replaced parts.